You bet your shopping matters. Next time you are planning a trip to shop for groceries at Smith’s, remember plan ahead and sign up for Inspiring Donations. A few simple steps and it’s another easy way to help support the Chefs for Kids mission. 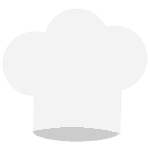 Register: Sign up for an account and pick Chefs for Kids Inc as your charity. Shop: Chefs for Kids receive quarterly donations based on your shopping. PS – Don’t forget to pick a better snack when hit the grocery aisle.